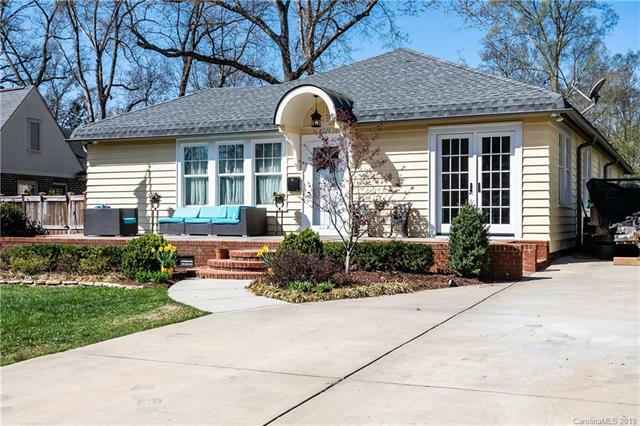 This is a beautifully remodeled Myers Park bungalow, full of modern updates. It sits on a .25 acre lot, nestled on a wonderful, quiet street in the heart of Myers Park. Every part of this home has been updated!!!! New electrical, new roof, new HVAC, new whole house generator, updated front and back porches and a great outdoor patio in the back of the home. Updated kitchen new countertops, custom cabinets, and stainless steel appliances and updated laundry room. Master on main level. Updated guest bathroom with roll in shower. Refinished hardwood floors and updated fixtures. This home is a must see!